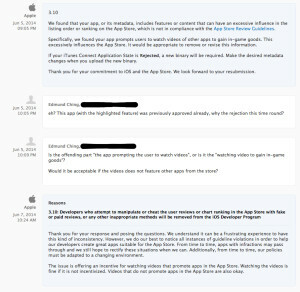 Simply, If you show video ads for ANOTHER APP OR GAME on the app store, you may not reward the player for watching these video ads. 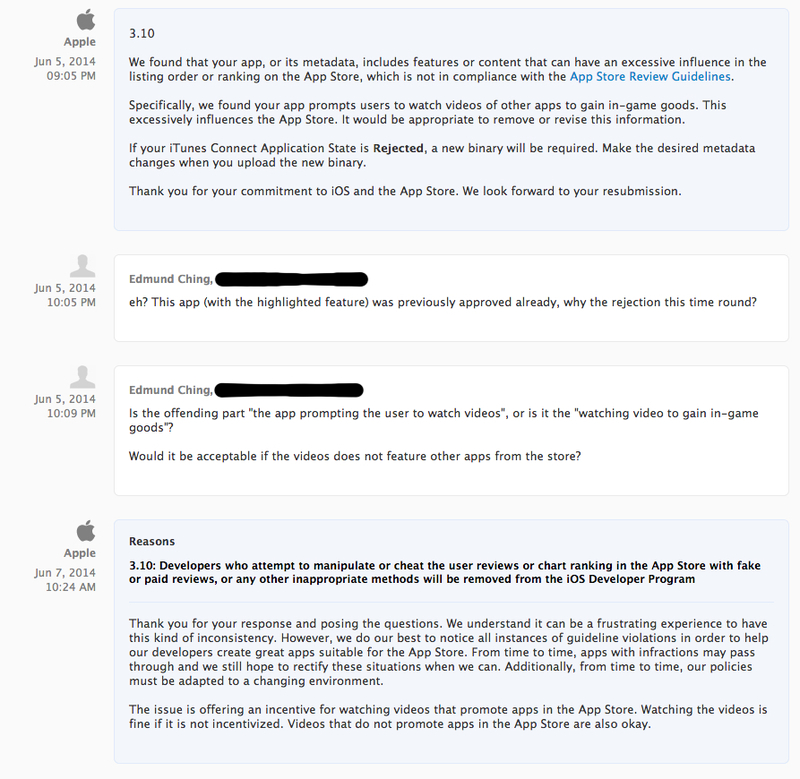 BUT it is ok if the video ads are advertisements for brands or products NOT in the App Store. Otherwise, the app containing this feature will most likely be rejected. This pretty much affects those using AdColony, Vungle, SuperSonic, etc, the list goes on and will no doubt affect the current state of game monetization and marketing (particularly for the big players for marketing). For developers, we have one less reliable tested method of monetizing our games. For players, they will have one less option for obtaining premium in-game items/currencies. And finally, companies facilitating and providing such services are in some sort of trouble… for now. On an unrelated note, I will not be resubmitting Causality for the time being. Either I will be changing my monetization methods, or actually I’m looking at some other form of marketing for my game. On another unrelated note, I have start prototyping my next game. I Will be writing about it soon. Keep a look out for project code name “Dice7”.